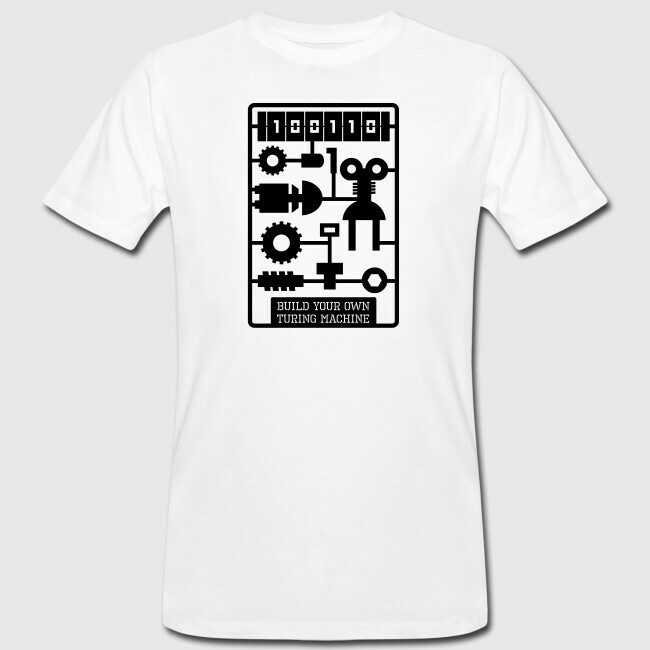 This design is a reference to the Turing Machine, a theoretical machine that can be used to implement any computer algorithm. 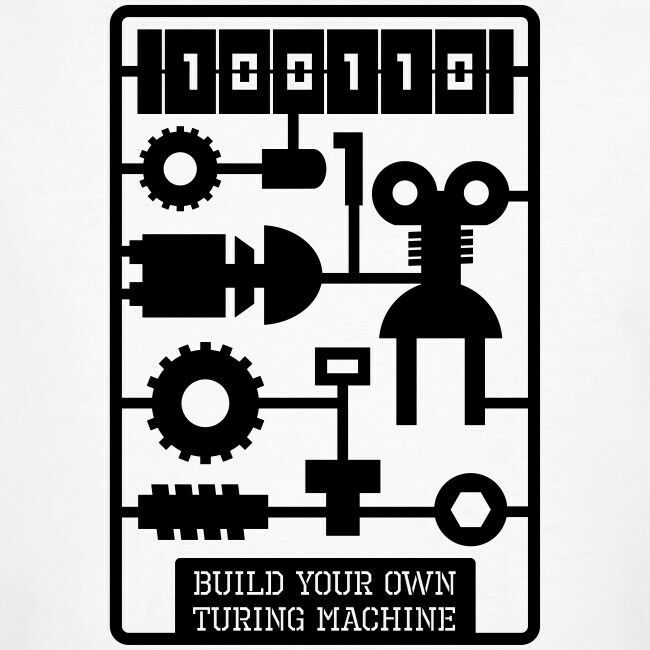 It was designed by the mathematician Alan Turing in 1936. Computer science students/grads, mathematicians, programmers and cryptographers.